The Shogun’s Daughter is Interesting Mystery Set in 18th Century Japan | Oh, for the HOOK of a BOOK! The Shogun’s Daughter is #17 in a historical mystery series taking place in ancient Japan. That’s right, #17! However, the good thing is that this particular novel can be read as a stand-alone as it has its own plot, so I am assuming the rest do as well. They do have samurai detective Sano Ichiro in common, as well as some other characters. As I write this review, I think it’s important to point out that I have not read the other books in the series as I have just been made aware of Laura Joh Rowland’s work. Detective Sano Ichiro doesn’t waste much time when interviewing or cutting the chase with anyone he is interviewing. This time, he takes on Yanagisawa, the shogun’s advisor who was also married to the shogun’s daughter. At the beginning of the book, this daughter passes away from smallpox (an unlikely disease for royalty, even at the time,which is why Sano is curious). The adopted son of Yanagisawa, a seventeen year old named Yoshisato, is named the shogun’s heir after it is announced that he is the shogun’s long-lost son. The book is an adventure into feudal Japan in 1704, yet the way that Rowland writes the mystery is seems more light-hearted even if the topic wasn’t or the people weren’t. The only way I can explain it is to say that it reminds of me of those older international Asian movies that were mysteries but seeped in something that just made you find it interesting to watch with all their quirks and idiosyncracies. Sano takes on a dangerous mystery, but he isn’t your normal detective investigating the stereotypical players. These players are driven by politics, dictatorship, and family drama and this leads him down a road where even his family is not safe. Eventually, the tables are even turned this time. Rowland has a niche with her historical mysteries as I haven’t seen too many Asian-oriented mysteries published in the U.S. I’d be interested in going back and reading some of her back list to find out how it all started. She’s been writing for many years and has created her own style that is authentic to Asian storytelling. The detective is original and honest and brings something creative to a world seeped in mystery detectives. He’s memorable. With her other characters, she seems to have really captured the original oriental style and personalities, unlike other mainstream novelists who might write about another time and place. Her character of Hirata, who Sano has had a longtime friendship with and I presume has been in other books, was a good sub-supporting choice. I liked how she incorporated the mystic martial arts (some of my fave movies have this theme) into the book and plot through him and his side pursuits. I also enjoyed the relationship between nine-year-old Taeko and Masahiro, Sano’s 12-year-old son. I hope to read more stories of those two in the future! And without giving spoilers, the distress in the relationship between Yoshisato and Yanagisawa really tugged at my heart-strings. I felt so awful for Yoshisato and was again reminded, as I often am in books, why issues with people in life should always try to be resolved before something unthinkable happens and resolution is a fleeting moment of the past. Yet the ending had a twist and I didn’t see it coming! She did a good job with the element of surprise as it sneaked up on me, even when I should have known better! I had a few hiccups with her writing style that I want to point out, not to fault Rowland or her books, but just because I think they would be so obvious to readers that I must give some pre-notice to them even if I hate to do so. 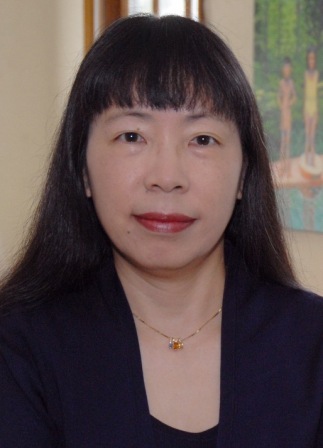 Her writing style can, in sections, be simplistic and narrow, without depth of details. Her writing isn’t lush and visual, but more clean and tight. Seeing how she was a scientist of all kinds for many years of her life, I can possibly understand where that comes from within her writing style. Not everyone writes the same and I can appreciate that, and I know she’s been published a long time, but I am not sure why there are some issues with getting present and past tense correct and consistent. Also, it seemed odd the way she constructed people’s thoughts from their head onto the page. Instead of us just hearing their private thoughts from their head, she announced they couldn’t say it out loud. I did think that they seemed to be more ironed out by the second half of the book, though. Her sentences are short, to the point, and sometimes there is too much repetition for my taste, even as a fast reader. Also, she is brash in her sentences due to the utilization of colons. However, for those readers who like an entertaining mystery read who haven’t read any of Rowland’s books, this would be a great book to grab and spend a day reading! I did really get into the second half of the book and formed some emotional connections to the characters. The Shogun’s Daughter was a unique mystery embroiled in drama and intrigue of feudal Japan, with an original and memorable samurai investigator and his cast of family and friends. I haven’t read many mysteries set in Asian culture or history, so it was an exciting new venture. It wasn’t a thriller with lots of decoding or fast-moving action, but it is a great detective mystery wrapped in the political intrigue and drama of past Japanese culture. I enjoyed how she took a true story from Japanese history and formed her own story based on a “what if” scenario. After reading the ending, I am sure there is another book coming featuring Hirata and his adventures. I look forward to it! Watch for my interview with Laura Joh Rowland coming to the blog on September 25! 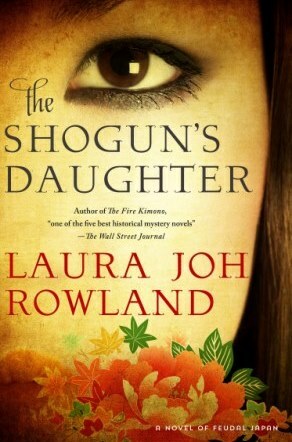 Laura Joh Rowland is the author of a mystery series set in medieval Japan, featuring samurai detective Sano Ichiro. The Shogun’s Daughter is the seventeenth book in the series. Her work has been published in 13 foreign countries, nominated for the Anthony Award and the Hammett Prize, and won the RT Reviewer’s Choice Award for Best Historical Mystery. Laura lives in New York City. I found you on the list for the blog tour of THE NINE FOLD HEAVEN. I am on the tour too. Will look for your review this week. Your blog has a very clever title and is very nice. Going to follow. Hi Elizabeth, thank you very much! It was pretty good. I am just finishing up The Nine Fold Heaven now. Do you like Asian historical fiction? I am just getting in to it. I do enjoy Asian historical fiction. Will look forward to seeing what you think about The Nine Fold Heaven.